Video content is becoming increasingly popular when marketing a product or service and it’s easy to see why when 80% of online visitors will watch a video, but only 20% will actually read a whole post. 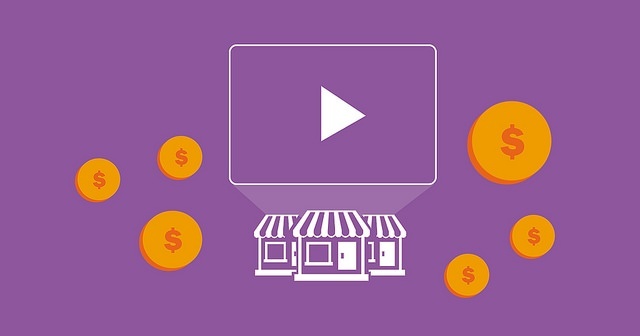 A video, if well executed, can connect with your audience on another level compared to other marketing strategies, increasing understanding of your product or service by 74%. Video based app, Vine and Instagram’s video feature are becoming more and more popular in the B2C world, but when it comes to video content (both B2C & B2B) YouTube still leads the way with over a 100 hours of video being uploaded every minute and it takes 2nd place behind Google as the most popular search engine. In addition to increasing popularity, video content allows an audience to engage emotionally with your product, either through humor or from ‘tugging at the heart strings’; it can really grab the audience’s attention and create a buzz that (something that most PRO’s hope for) can help your video go viral. Successful examples of this emotional connection can be seen in the Christmas ad battle that occurred this year. Sainsbury’s ‘Christmas is for sharing’ campaign saw the depiction of the Christmas Day truce as we mark 100 years since the start of WW1. The campaign generated over 16.5+ million YouTube views and with it promoted a limited edition chocolate bar of which the proceeds went to The Royal British Legion. While Sainsbury chose to focus on a topical subject, John Lewis tugged on your heartstrings with a tried and tested ‘cute animals’ strategy - introducing the adorable #MontythePenguin. This ad drew in excess of 22 million views and in a recent poll conducted by Marketing Magazine, John Lewis came in top with 56% of consumers liking their campaign over Sainsbury’s 53%. Another way to generate a buzz around video content is through humor and if used well it can often lead to popular success. In 2010 Old Spice launched a new campaign with a series of video content under the theme ‘Smell Like a Man’ created by Wieden+Kennedy. Starring actor Isaiah Mustafa, the ads cleverly use real time filming combined with a clever script to refresh the Old Spice brand and encourage discussion amongst a younger audience. The ads were so popular a Response Campaign of 180 videos was created where the Old Spice guy responded to customer’s tweets. The results were incredible, after the first week views had risen to more than 40 million, while twitter followers increased by 2,700%. But more importantly by June 2010 following the Response Campaign sales were up by 125% and Old Spice was the number one selling body wash brand for men in the US. This is a great example of a joined up PR/Marketing strategy using social media to respond directly to viewers of the video. Humorous video content can also generate viral success not just for products but for services too. ‘Dumb ways to Die’ was an animation created by Metro Trains Melbourne, hoping to educate their audience on safety around trains. The huge success of this video resulted in the extension of the campaign with the launch of a game that became the no.2 free app in over 20 countries during 2013. The video itself met its aim and generated over 1 million pledges from people to be safer around trains and there has been a 20% reduction in rail related accidents year on year since. However not all video marketing results in victory. A CocaCola Ireland ad made the fatal mistake of missing out a gay marriage scene in its, ‘Reason to Believe’ campaign while other European countries such as Norway and Britain had the scene included, which of course caused a lot of upset amongst its audience. One of the most important aspects to consider when using video content to market your product is of course your audience and when producing a topical ad it is important to be sensitive and aware of current social causes. The last thing you want to do is alienate your audience! Unlike Coca Cola, Always succeeded this year in successfully addressing a social cause and as a result the campaign was named no. 1 in Marketing Magazine’s top 10 Marketing moments of 2014. The campaign #Likeagirl, aimed to target the negative connotations associated with the phrase, ‘Like a girl’ and turn the stereotypical insult into a positive meaning. This ad is a great example of how video content can cleverly market a product by focusing on a social cause. Feminism has been a prominent social topic throughout 2014 and this campaign addresses the topic in a way that’s identifiable as it’s a phrase everyone has heard of and even said from time to time. As a viewer it is almost shocking to see the difference between the younger girls answers compared to the older men and women, if you haven’t seen this yet it is definitely worth a look! Hashtags are being used more and more within video content to help spread the word across wider digital platforms. Social Media is the medium to reach an young audience (or as we see it, the business audience of the future) and by adding a hashtag to your content it enables the audience to voice their own opinions and can generate discussion, helping your campaign to reach more people with little extra input from you. Both the Like a Girl campaign and Monty the Penguin used hashtags to promote their ads and helped them go viral. In addition to its presence online and on TV, video content can have a positive effect on other aspects of your marketing campaign. Research shows if an email contains a video, the click- though rates increase by 200-300% and landing pages that feature videos can increase conversions by 86%. As we now enter 2015 it is hard to see a better choice than video content when it comes to marketing your products or services. Video campaigns have dominated the top marketing moments of 2014 and look set to do the same this year with campaigns already being launched, in particular the popular Doritos Super Bowl competition for which the 10 finalists have already been listed. Cisco predicted that by 2018, 79% of all consumer Internet traffic would be Video traffic! That’s a statistic that is hard to ignore and is surely more than enough reason start thinking about how to start investing in video content when marketing your products and services in the world of B2B.